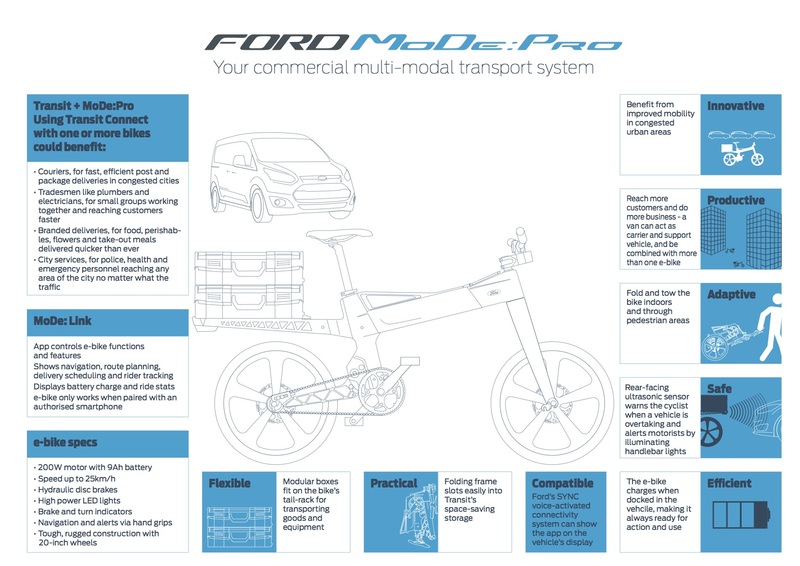 Couriers, for fast, efficient post and package deliveries in congested cities. Ford’s SYNC voice-activated connectivity system can show the app on the vehicle’s display. Rear-facing ultrasonic sensor warns the cyclist when a vehicle is overtaking and alerts motorists by illuminating handlebar lights. 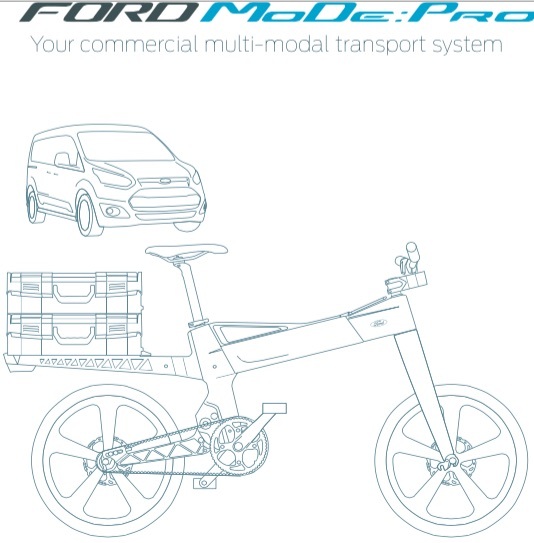 The e-bike charges when picked in the vehicle, making it always ready for action and use.